You will enjoy the privilege of our Suite rooms, which have a unique view of the Sea of Marmara. For your comfortable stay, there are 2 bedrooms, 2 separate 40” LCD TVs, a work desk, safe, hairdryer, coffee machine and extra bathroom facilities such as bathrobes and slippers. Non-alcoholic beverages and domestic calls are also free of charge. With our free and powerful wireless Internet service in our suit rooms where your every need is taken into consideration, you will get things done in a short time and you will have more time for yourself and your loved ones. 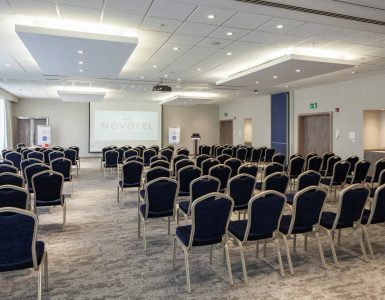 Novotel Istanbul Zeytinburnu is always here for you to provide you with a professional service and peaceful accommodation!